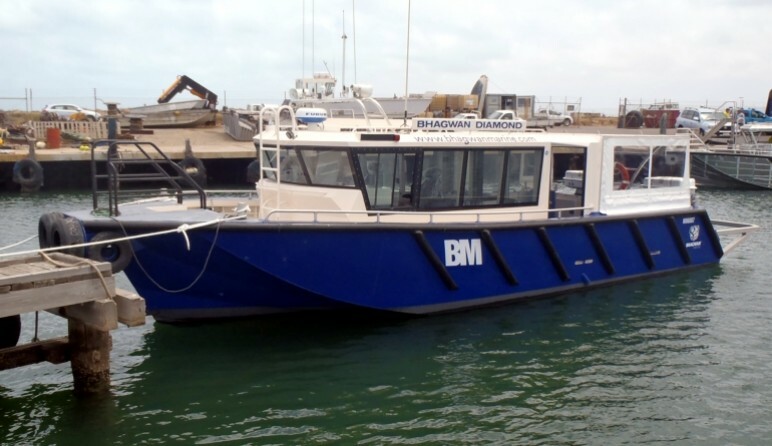 Bhagwan Marine operate a large fleet of vessel with GMD designs featuring in more than 10 of the fleet. 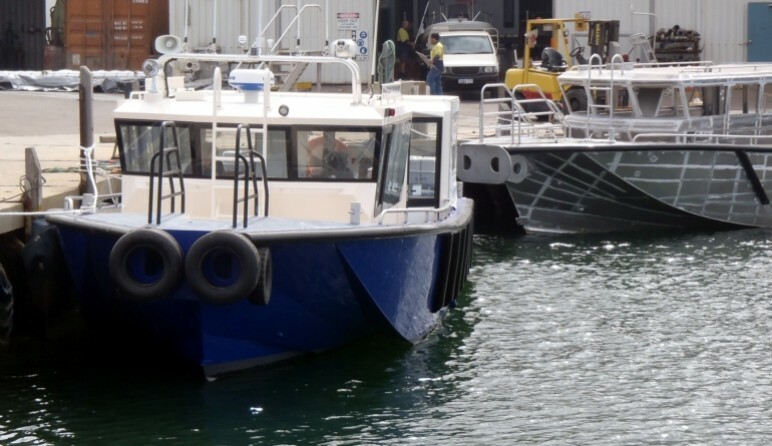 With 3 of the GMD 10 metre Air Riders in the Bhagwan fleet having proven themselves over many years of continuous operation, Bhagwan decided it was time to push the boundaries and order a pair of this larger version of the well proven 10 metre crew transfer vessels. 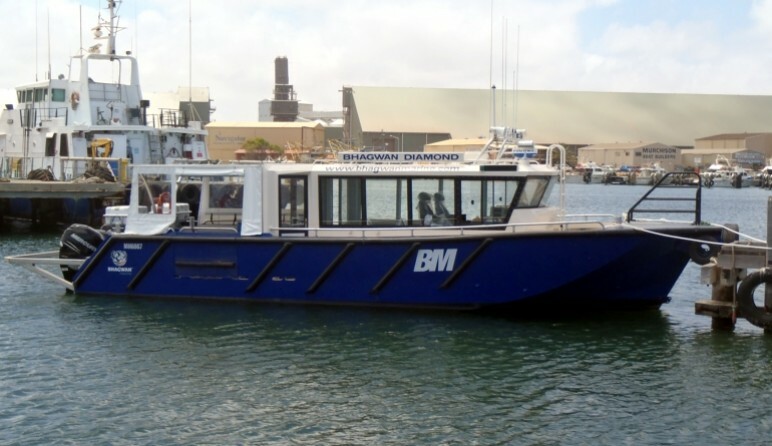 The “Bhagwan Diamond” is a versatile Crew Transfer vessel commissioned by Bhagwan Marine for operations off the north west coast of Australia. 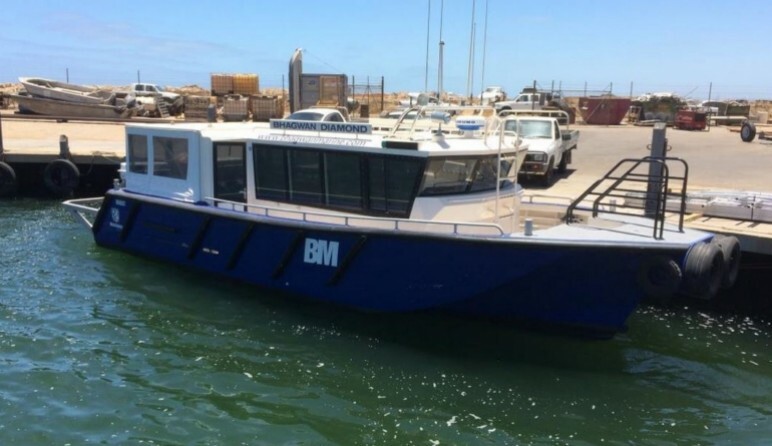 The well proven Air Rider(R) hull carries 15 passengers and 2 crew in comfort and safety while the print speed of 35 knots means that the next transfer is never too far away. 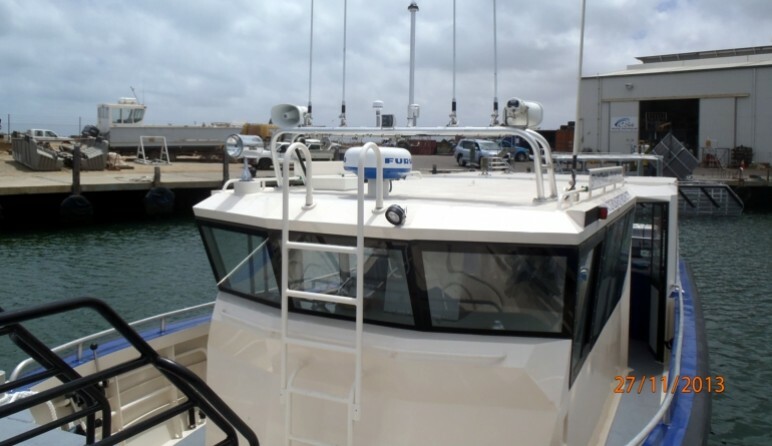 A unique feature is the triple outboards with a clever hull transition fairing to the middle engine, resulting in good handling and minimum ventilation of the engines in operation. Hello and thanks for your interest in this Marine Kit® design. 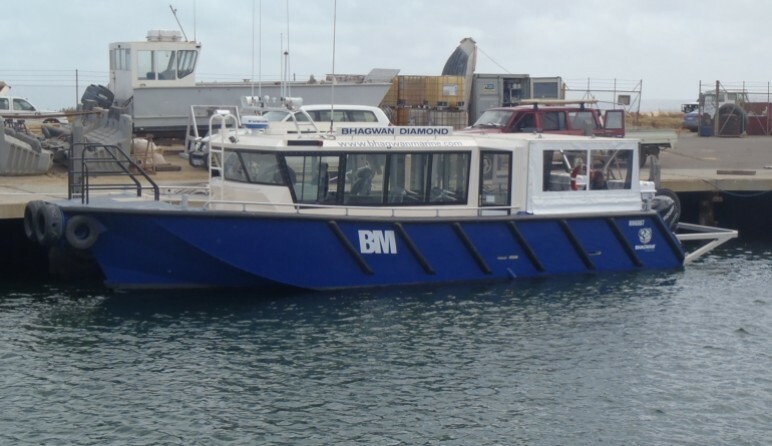 Please fill in the details below to request the high resolution PDF General Arrangement for this vessel. Once you have submitted your information our system will immediately email you the PDF download link.